Law enforcement officials and military personnel have found the benefits of adding advanced technology to their list of must-haves. 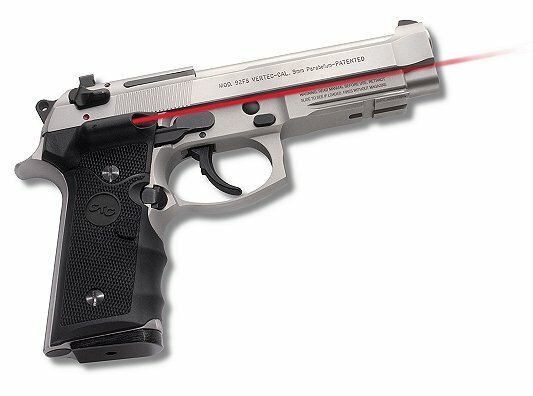 The Crimson Trace laser grip tops the list due to its pinpointed accuracy and adaptable texture. This is why MPC Sports carries an extensive assortment of this essential component to assist the public sector serving local and national communities. This unique product is designed for these professions because it accurately pinpoints with a dot that locks on to the target. No other invention can compare to the immediate targeting displayed by these lasered grips, making it an essential in most law enforcement agencies across the world. Among other necessities are the scopes, optics and cases for quality rifles distributed by Mpcsports.com. Scope out the competition and then confirm the lowest prices and largest inventory around at MPC Sports. We carry durable, flexible and quality name-brand merchandise with ultimate savings that grow day after day. Stock up on superior rifles, gun cases and bags, sights, chokes and much more. Our supplies will even dress hunters well with jackets, shirts, vests and colorful apparel designed to disguise you from the prey. From women's to men's products, know that Mpcsports.com can offer the size, style and feel needed. Our large inventory also features sale items on a daily basis. Check out the latest deals and set your sights on pieces to add to an existing collection. Gun enthusiasts love the choices we provide and we hope you find the same. Our professional staff is ready to answer any and all questions you have about the Crimson Trace laser grip or a Browning rifle. So pick up the phone or contact us online through the contact page today! MPCsports.com provides premium shooting equipment and even more premier customer service.